Civic Engagement is a group of works meant to evolve in response to the ebb and flow of politics and place. 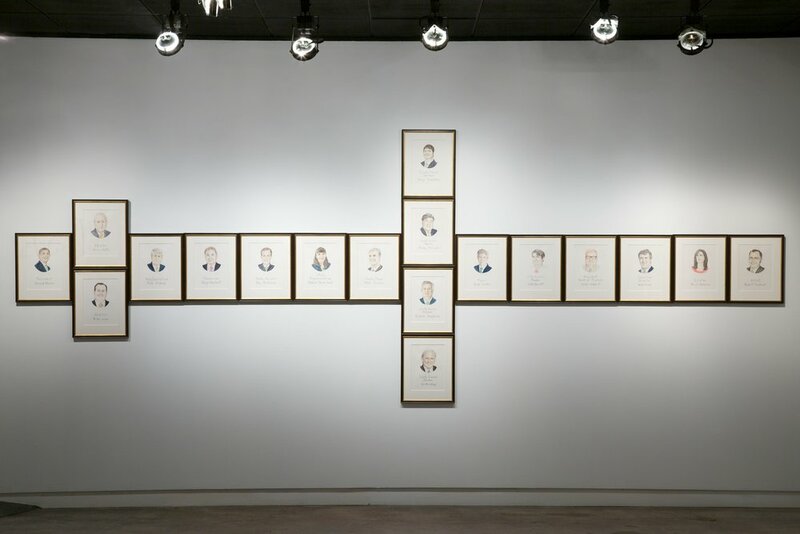 Chain of Command is a visual representation of the layers of government, from national to local and even institutional, responsible for the gallery in which it is installed. Losers is a set of watercolor portraits of the major loser of each presidential election. The Senate in my Lifetime contains a portrait of every senator who has served since my birth. The current senate is hung in a grid on the wall former senators drop to the floor below.